This week’s Boston Symphony Orchestra salutes to Finland visit some of that country’s less familiar musical territory. Under Finnish guest conductor John Storgårds, the bill begins with Finnish composer Kaija Saariaho’s Ciel d’hiver and closes with Jean Sibelius’s last two symphonies, Nos. 6 and 7. 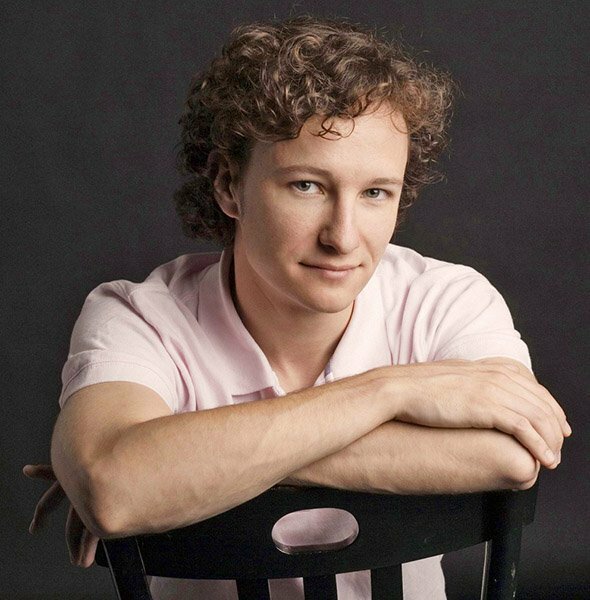 In between, as a kind of palate cleanser, we get a very familiar composer, Mozart, with guest soloist Martin Helmchen in a piano concerto, No. 22, that’s hardly unfamiliar but isn’t heard as often as Nos. 20, 21, and 23. Thursday night, the Mozart was good enough but the Sibelius was sublime. Ciel d’hiver started out life as the middle section of Saariaho’s 2002 composition Orion, a piece for large orchestra in three movements: “Memento mori,” “Winter Sky,” and “Hunter.” The subject was the northern hemisphere winter constellation Orion the Hunter. 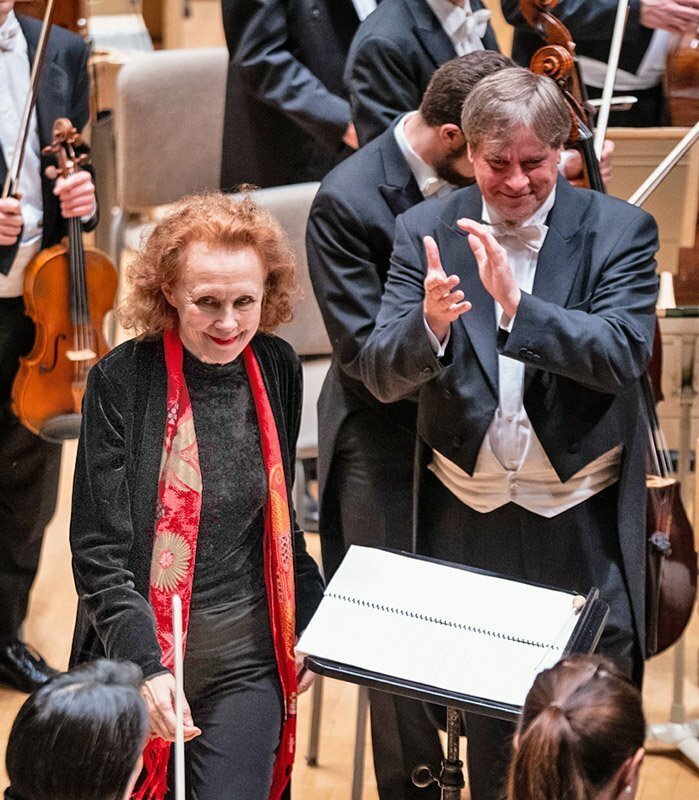 In 2013, on a commission from Musique Nouvelle en Liberté, Saariaho redid the movement, paring down the orchestra, to create Ciel d’Hiver. The 10-minute piece begins with a descending three-note motif (G-flat, F, B) in the piccolo. The idea is taken up by the principal violin, then in turn by clarinet, oboe, and muted trumpet. It mutates, twinkles — perhaps those three notes are the three stars of Orion’s belt. There’s a Middle Eastern flavor to the writing for clarinet, as if in tribute to the medieval Islam astronomers. About halfway through, the texture thins out, chords materialize, and what had been mysterious becomes ominous, as we’re invited to contemplate the vastness of the universe. It concludes without resolution in an unending ostinato in the celesta and a fractured cello solo. Storgårds, the principal guest conductor of the BBC Philharmonic and the former chief conductor of the Helsinki Philharmonic, was making his first engagement with the BSO in Symphony Hall, though he had led the orchestra in Sibelius’s Violin Concerto, with Nikolaj Szeps-Znaider, and the Fifth Symphony at Tanglewood in 2011. Storgårds is also a violinist, and in that capacity he soloed on the Ondine label’s chamber-version recording of Saariaho’s 1994 violin concerto, Graal théâtre. So you’d expect him to have a feel for her work, and on Thursday’s evidence, he does. The sharp and bright first half of the piece shone as if every star in the sky were first magnitude. In the second half, Storgårds grew more animated, and the universe became not just ominous but dangerous. The return of the piccolo at the end, and both celesta ostinato and cello solo proved unyieldingly enigmatic. Mozart composed his Piano Concerto No. 22, in E-flat Major in December 1785, while also working on Le nozze di Figaro. The first of his piano concertos to include clarinets, it opens in mock heroic fashion, as if teasing Figaro’s Cherubino with his threatened conscription into the Count’s regiment in Seville. The orchestra led by trumpets and timpani delivers a military phrase; bassoons and French horns and then clarinets and violins reply with the softer depiction of Cherubino as ladies’ man. This good humor persists throughout the movement; the piano, when it enters, doesn’t state the themes so much as frolic with them. The 3/8 Andante, in C minor, turns serious; you could hear in it a gloss on Rosina’s “Dove sono i bei momenti.” The piano has moments of, instead, anger and remorse, and then there’s a reconciliation of sorts, orchestra and piano finishing each other’s phrases. The rollicking 6/8 rondo finale is interrupted by a slower 3/4 interlude that’s part minuet, part wedding march, with the clarinets suggesting that marriage is thorns as well as roses. Storgårds got into the Figaro spirit from the outset, the genial majesty of his trumpets and timpani presaging the lightheartedness of the opening Allegro. The string section did not appear reduced, yet the playing boasted a chamber-like clarity, with the French horns in particular soft but palpable. And the nuances of Storgårds’s dynamics and phrasing were vocal throughout; you could practically hear the orchestra singing. That was especially true of the hesitant, sorrowful first bars of the Andante. Helmchen impressed me less. His technique is impeccable, even at high speed; his tone is pearly but not precious. Yet the interpretation seemed to be coming out of his fingers. The Allegro bespoke nervous energy and not much else; I didn’t detect any give in the phrasing till just before the recapitulation, some eight minutes into the movement. And though he allowed a moment of sad reflection at the beginning of the cadenza, all too soon his left hand banged out the opening theme. His Andante felt much better. The second variation, where the piano lashes out, didn’t rise to the occasion, but the first and third variations were plangent and unspoilt, attesting to a genuine Mozart sensibility. His execution ran flawlessly fast in the main section of the rondo, becoming gracious, even tender, in the minuet/wedding march. Yet Storgårds made the more memorable contribution to the generally satisfying performance. Sibelius’s last two symphonies find him moving ever farther from the traditional symphonic format. The Sixth (1923) does have the standard four movements, but none of them is slow, and the Seventh (1924) unfolds as one continuous movement. Tempos are fluid and in constant flux; the composer’s tempo markings, even in a conscientious interpretation, don’t always consort with what you’re hearing. Tonality is ambiguous: the Sixth doesn’t mention any key on its title page, and the first, third, and fourth movements have no key signature. Often described as being in D minor, it’s really in the Dorian mode. (The Dorian also turns up in the C-major Seventh.) And the bar lines in this symphony sound optional. (In the manuscript, they’re written in red pencil, as if they’d been inserted after the notes had been set down.) As for Sibelius’s approach to composition, rather than creating themes, taking them apart, then putting them back together, he tends to begin with fragments, and these come together in their own way, in their own time, and for their own duration. There’s no attempt at sonata form; the music doesn’t develop so much as evolve. What results is more than a new symphonic form — at times, particularly with the Seventh, it seems almost a new life form. Sibelius had started on the Sixth as early as 1914. At one point, it was to take the form of a tone poem addressed to Kuutar, the Finnish goddess of the moon, with themes labeled “Winter” and “The Spirit of the Pine Tree.” One can certainly hear the four-movement work that finally emerged in the context of standing in a winter pine forest and looking up at the moon. Although there’s just the one tempo marking, Allegro molto moderato, until the last few pages of the 2/2 first movement, the music feels slow when it moves in half notes and quarters and fast when moves in eighths and sixteenths. Toward the end, a tentative chorale leads to a tentative climax, the violins search, there’s a surge of energy and then nothing. The Allegretto moderato “slow” movement is nominally in G minor (it still sounds Dorian) and nominally in 3/4, though it floats as if there were indeed no bar lines. The brief 6/8 scherzo, Poco vivace, has the trochaic rhythm of the Kalevala, the Finnish national epic. The Allegro molto finale, in 4/4, is a set of variations; when the strings attempt a chorale, the winds respond with that peculiarly Sibelian honking sound midway between geese calling and a car alarm going off. Time can seem to stand still in the Sixth (as Orlando observes to Rosalind in As You Like It, “There’s no clock in the forest”), but this last movement does raise a tempo question. Paavo Berglund’s Helsinki Philharmonic recording runs 11:12; Osmo Vänskä with the Lahti Symphony clocks in at 8:19. Somehow, both work, though 8:19 is probably closer to what Sibelius had in mind. On Thursday, Storgårds took about 10 minutes, which is line with the 10:11 of his 2012 Chandos recording of the symphony with the BBC Philharmonic. (All seven Sibelius symphonies by Storgårds and the BBC Philharmonic were recorded in 2012 and 2013 and are available in a Chandos box.) That too seemed right. But then, almost everything about this Sixth seemed right. Conducting Sibelius is a matter of going with the flow or, in Star Wars terms, opening oneself to the Force. No one did this better than Berglund, even though his multiple recordings offer multiple interpretations. Non-Finnish conductors (Herbert von Karajan is a notable exception) tend to impose themselves on Sibelius, wresting from him the thrill of victory and the agony of defeat. You have to shape the music without guiding it; you don’t know where you’re going to end up until you get there. (Sometimes, as in the case of the Fourth, you don’t know where you’ve ended up even when you do get there.) That still leaves a lot of latitude, as the disparate recordings by (among other Finns) Berglund, Vänskä, Tauno Hannikainen, Okko Kamu, Leif Segerstam, Mikko Franck, Sakari Oramo, Esa-Pekka Salonen, and Susanna Mälkki attest. Add Storgårds to the list. He caught the Palestrinian polyphony of the opening measures, first and second violins both divided and playing in the stratosphere. His winds were literal and forthright; this was less like a moonlit midnight and more like high noon, under a bright, even harsh, sun. The transience of the chorale in the first movement was matched by the transience of the climax; at the end the violins seemed to disappear into thin air. The Allegretto moderato has been likened to the Overture and Scherzo from Mendelssohn’s incidental music for A Midsummer Night’s Dream. But in place of Shakespeare’s gossamer elves and fairies, Storgårds gave us forest animals, not all of them light and acrobatic. While the strings attempted to sing, the winds kept up an incessant tick-tock; the melodic fragments never quite coalesced, and it all concluded in an earthbound dance. The Poco vivace was, like the Kalevala, incantatory and violent; you could picture heroes like Väinämöinen and Lemminkäinen on the run. The chorale-like opening of the finale was, if not as fast as Vänskä’s, just as implacable, and it led to a ferocious version of nature’s dance of life and death. Once the chorale had had its say, there was a blast from Russian winter, the strings reaching for the Palestrinian heights again, one last muttering from the winds, and then stasis. Sibelius doesn’t get much better than this. After such a magical Sixth, Storgårds’s Seventh disappointed just the slightest bit. In Berglund’s Helsinki Philharmonic recording, the Adagio build-up to the first trombone apotheosis transcends human harmony; you don’t want it to end, which I think is what Sibelius intended. Storgårds’s Adagio tended more to striving: Michelangelo to Berglund’s Fra Angelico. The pastoral episode wanted a few more indulgent (the Sixth clocked in around 20 minutes, as opposed to the 22:12 of the Chandos recording), and at the end, the orchestral voices in B did not clearly ascend into the final C. But this remained Sibelius to cherish—the most idiomatic performances I’ve heard in Symphony Hall since Berglund led the BSO in the Violin Concerto (with Julia Fischer) back in 2005. Thank you for the review! I am missing the concert, but my wife and son are in for a treat it sounds like. I have been listening to the Sibelius symphonies the last several days, and really appreciate your review! Did Jeffrey hear Paavo Berglund’s performance of the Sibelius 6 and 7 with this orchestra in his debut in about 2003 or so? I was there at the first performance, and thought it excellent, but imagined the later performances would be even finer. I’m driving out from Albany for this one, Tuesday night, in the hope that this concert will equal or surpass that one. On Helmchen, I could not disagree more strongly. His entrance was briefly disorienting, because one is used to hearing performances of this concerto that emphasize grace and elegance. Helmchen played with vigor, clarity, and color, and at times even fire and brilliance. He favored a somewhat more detached and less legato style than is usual (as, according to Beethoven, did Mozart). It was an unusual interpretation, but not one that violated the character of the music, not “original” in the sense of substituting the performer’s temperament for that of the composer. He played with a passionate interest in the piano part, to the degree that it sometimes seemed that we were listening to a piano sonata with orchestral accompaniment – brilliant sonata, previously unknown. I recall that last season when Helmchen played the Beethoven 3rd with the BSO there were strong differences of opinion over his playing. I was enthusiastic about it then, and last confirmed him in my high regard. He’s both a very fine player, and an original one, in the best sense of the word. The statement that in the Sibelius Sixth that “the music doesn’t develop so much as evolve” is to my mind an imprecise analogy, in that the music doesn’t seem to have been subjected to much selection pressure. It appears to change direction not because of any remorseless logic of nature, but simply because the composer ran out of inspiration. I suppose that is selection pressure of a sort. I agree that it was very well played and often quite beautiful. I don’t know which performance SamW heard, but on Saturday night Martin Helmchen was superb, and the orchestra’s playing taut and lean to match. Such clarity, brilliance, inflection! You know, I trust Beethoven’s account of Mozart’s own pianism, and actually felt that Helmchen’s playing captured something of the composer’s fiery spirit and vitality that generally goes unheard. True, at least in this particular concerto, such playing can be a bit much on a modern instrument – even a gorgeous one like the particular BSO Steinway the pianist chose for this week’s program – and one of the finale’s most decisive cadences did clang a bit. Still, this was a special performance, just as Helmchen’s Beethoven 3rd with Andris Nelsons was last season, and his ‘Emperor’ under Dohnányi in 2015. Martin Helmchen – and the critical reaction to his style from some quarters – puts me in mind of the 30-something Pollini, whose lucid, muscular, and unsentimental playing in the 1970s could be tremendously expressive and often possessed of a beautiful, ineffable ‘rightness’, yet was occasionally heard as ‘cold’, ‘clinical’, or ‘detached’. By the way, the rest of last night’s refreshing program was very well-played, and adroitly conducted by John Storgårds, with whom the players seemed comfortable and attuned – absolutely necessary in order to navigate the amorphous sonic mists of Saariaho’s ‘Ciel d’hiver’, not to mention the twining strands of the Sibelius. Maybe not evolution exactly, but the way the composer wound themes and textures around each other often evoked helices for me – double, triple, and quadruple, often mesmerizing. I was there Saturday as well, and I also thought he was superb, if that wasn’t clear. I like the comparison to Pollini, at least in the way they are misunderstood. They are quite different in character, though, or at least I think so, though I haven’t had a chance to get to know Helmchen very well. Pollini maintains a kind of Apollonian distance, which many hear as coldness, but which I think is necessary for him to maintain the broadest possible view of the music and its possibilities. There are few musicians on Earth I trust as much as Pollini; he does everything for a reason, and his reasons are always deeply intelligent and in service of the music. If that’s calculation, it’s the right kind of calculation. Helmchen is more instinctive and enthusiastic, though he also seems to be very intelligent, and so far his enthusiasms seem to have been well-based and well motivated.